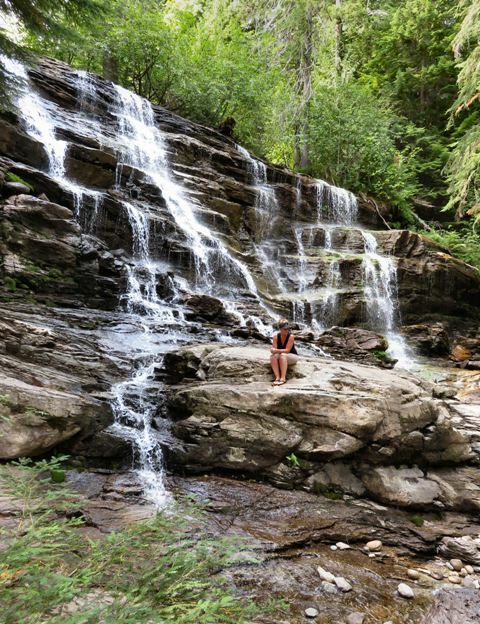 Why Don't You Mosey on Down to Moses Falls in Revelstoke? Waterfalls have a magical way of elevating any mood and Moses Falls is no exception. A short hike through a forested area near the Revelstoke Dam brings you to a secret idyllic hideaway that looks like something straight out of a fairy tale. Located a mere 200 meters from the trailhead, and not visible from the road, this little known 14 meter high waterfall is quite impressive. It is also the proposed site for a 4,000 kilowatt-capacity independent hydroelectric project. Proposed by former Glacier House Resort owners, Alex Szirmai and Lia Altena through a company called Moses Creek Power, this small, run-of-the-river project will — when completed — provide enough electricity for 822 BC homes. The proponents have already hired professionals to conduct assessments for potential project impacts on fish, wildlife, rare plants and archaeology and no negative impacts or fish were discovered. Start of construction is being targeted for 2016 and will take approximately 2 years to complete. How will this affect the falls? I am not sure, but hopefully it doesn’t and these beautiful falls continue to be open for the public to enjoy.